We were sad to learn of the passing away of Prof Khwaja Masud on Saturday, Jan 16, 2010. The well known educationist, newspaper columnist, Marxist intellectual and writer died in Islamabad after a brief illness, aged 88, leaving behind two sons. He played a good innings. According to an obituary note in Dawn on Sunday, he was born in Campbellpur (now Attock) in 1922. 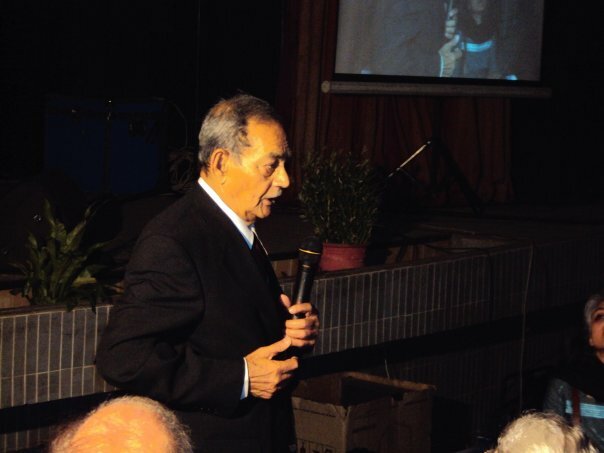 He attended Scotch Mission School in Daska, graduated from Murray College, Sialkot, and had a Masters degree in mathematics from Government College, Lahore (1944), after which he joined Gordon College, Rawalpindi, as lecturer. Appointed principal of the college in 1972, he retired in 1982. He played a leading role in setting up the Progressive Writers Association in Rawalpindi, was an active trade unionist, and a founder member of the Islamabad Culture Forum and Islamabad Philosophical Society. He was associated with progressive writers and intellectuals like Sajjad Zaheer, Faiz Ahmed Faiz, Mohammad Hussain Ata and Sibte Hassan. The obituary note draws from a Dawn report of August 11, 2007, ‘Khwaja Masud — a teacher par excellence’ by Ashfaq Saleem Mirza commemorating Prof Masud’s 85th birthday. NOTE: The Dawn note is somewhat inaccurate in its mention of Prof Khwaja Masud’s association with Democratic Students Federation and the Pindi Conspiracy Case. Prof Masud did not “join” the DSF although he “certainly mentored DSF activists in Gordon College, including Abid Minto”. 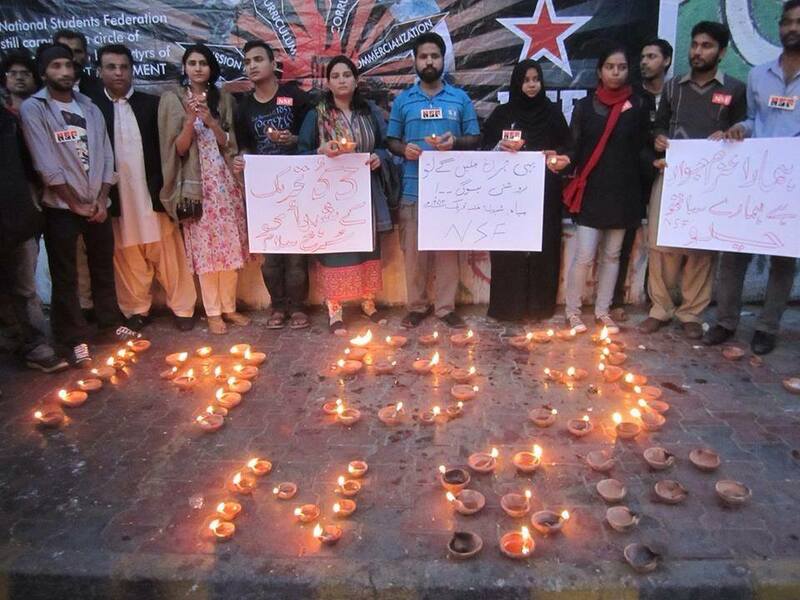 (Also, the DSF launched in Karachi at least was not “the student wing of the Communist Party”). Prof Masud was also not part of the Pindi Conspiracy Case, “which was in any case manufactured to snuff out the nascent left and the Communist Party” (S.M. Naseem). 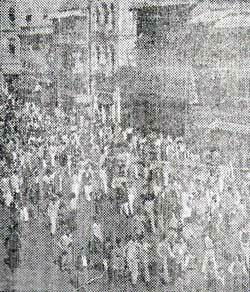 Jan 8, 1953: Thousands of students gather at DJ College for 'Martyrs Day', to protest the Jan 7 police firing and tear gas shelling. Photo courtesy Sartaj Alam, a student and amateur photographer, Student Herald. 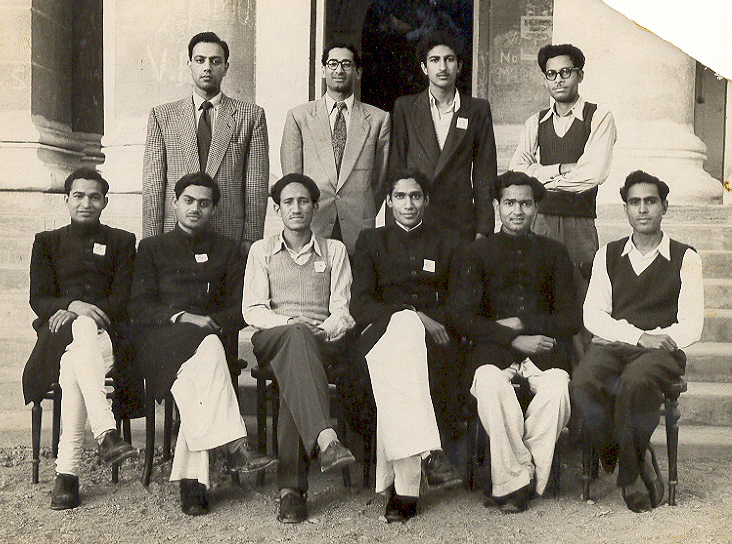 1949 – Students hold small meetings to organise themselves (Sarwar, Hashmi, Zain Alavi and others). October 16, 1951: Liaquat Ali Khan assassinated in Rawalpindi; Governor General Khawaja Nazimuddin takes over as second Prime Minister of Pakistan, Ghulam Muhammad becomes Governor General. Oct 17 1952 – ICB letter to Education Minister Fazlur Rahman requesting audience so they could place student demands before him (fee reductions, monthly fee structure rather than six month deposit, library and hostel facilities – and security of employment).